A lawsuit that accuses Cloudflare of providing services to alleged 'pirate' sites has been expanded. In an amended complaint, adult outfit ALS Scan now seeks to hold hosting providers OVH and Steadfast Networks liable for infringement, alongside operators and affiliates of several image hosting sites. Faced with non-cooperative ‘pirate’ sites, copyright holders have begun targeting web services with demands for them to stop serving errant platforms. A lot of attention has focused on search engines, domain name registrars, and advertisers, who are frequently asked to do more to counter online piracy. In a complaint filed at a California federal court, ALS Scan targeted CloudFlare and the advertising network JuicyAds over image copyright infringement carried out by the users of pirate sites (full list below) they service. “The pirate sites would not be able to thrive were it not for third party service providers who provide valuable services to these sites,” ALS wrote. Last month, JuicyAds was cleared of any wrongdoing and the case against it was dismissed. However, Cloudflare is still a defendant and in an amended complaint filed earlier this month, other companies have now been dragged into the dispute. First up is well-known hosting provider OVH, which made the headlines earlier this month when it was targeted by police seeking to shut down private tracker What.cd. ALS Scan says that OVH (based in France and Canada) is responsible for providing hosting and related services to pirate sites. Also under fire is United States hosting provider Steadfast Networks. According to ALS, like OVH this Chicago-based company also hosts illegal sites, including “pirate” image hosting platform Imagebam.com. This is a very popular site indeed, currently ranked #680 in the world by SimilarWeb with more than 40m visits per month. According to ALS, Dolphin Media Ltd is the Hong Kong-based company behind an image hosting site operating from Imgchilli.net. Again, ALS characterizes this as a pirate platform but instead of Dolphin merely being the host, it’s claimed the company also owns and operates the service. Finally, ALS names Hivelocity Ventures as a new defendant. According to the adult outfit, Hivelocity hosts ‘pirate’ sites including namethatpornstar.com. “The pirate sites would not be able to thrive were it not for third party service providers who provide valuable services to these sites. These third party providers include hosts and content delivery networks,” the amended complaint reads. 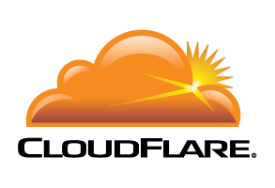 According to ALS, when Cloudflare learned of this lawsuit its lawyers contacted ALS offering to hand over the information it holds on the pirate sites in question, but only in exchange for a release of liability. While that doesn’t appear to have been granted, Cloudflare did begin to play ball. “Eventually Cloudflare identified the OVH Companies as the primary host of some of the sites in question,” the company adds, noting that despite “numerous notifications of infringement”, OVH has continued to provide hosting services to pirate sites. “On information and belief, the OVH Companies have failed to implement and enforce a repeat infringer policy,” ALS adds. In respect of ImgChilli and owner Dolphin, ALS has nothing good to say either. “This is no site like dropbox.com, however, which caters to consumers who want to share family pictures or personal oversize files. Instead, Dolphin offers to pay imgchili.net members $4.50 per thousand views of images uploaded to imgchili.net,” the complaint reads. In summary, ALS says that while some of the defendants may claim safe harbor under the DMCA, they do not qualify for its protections. “ALS denies that any would apply, but if they do, such safe harbors have been lost through ignoring red flags of infringement, ignoring actual notifications of infringement, failure to adopt and reasonably implement a repeat infringer policy and failure to accommodate, and interference with, standard technical measures,” the amended complaint reads. If successful, ALS is demanding actual damages of no less than $10m, statutory damages, disgorgement of defendants’ profits, trebling of damages, costs and attorneys’ fees, plus preliminary and permanent injunctive relief.